Today the very much anticipated adaptation of Disney Classic Beauty and the Beast is released in Cinemas and I am so excited! Beauty and the Beast is a film that I remember well from my own childhood, I remember going to see the animated film back in the early 90's and it has always been a film that I have adored. 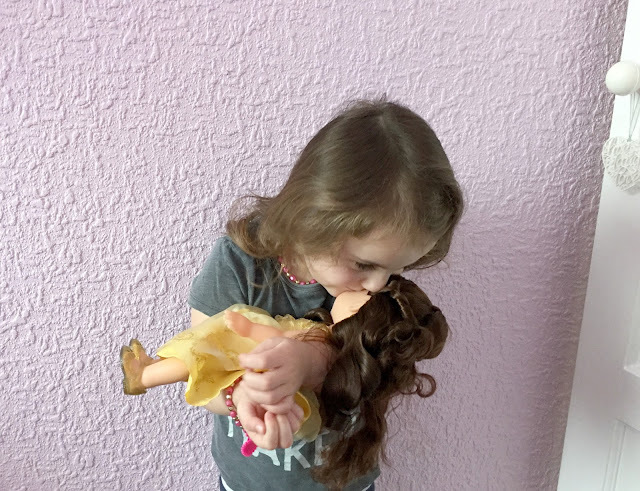 My three-year-old daughter Sophia is also a huge Beauty and the Beast fan, she is always watching the film and Belle is without a doubt her most favourite Disney princess. 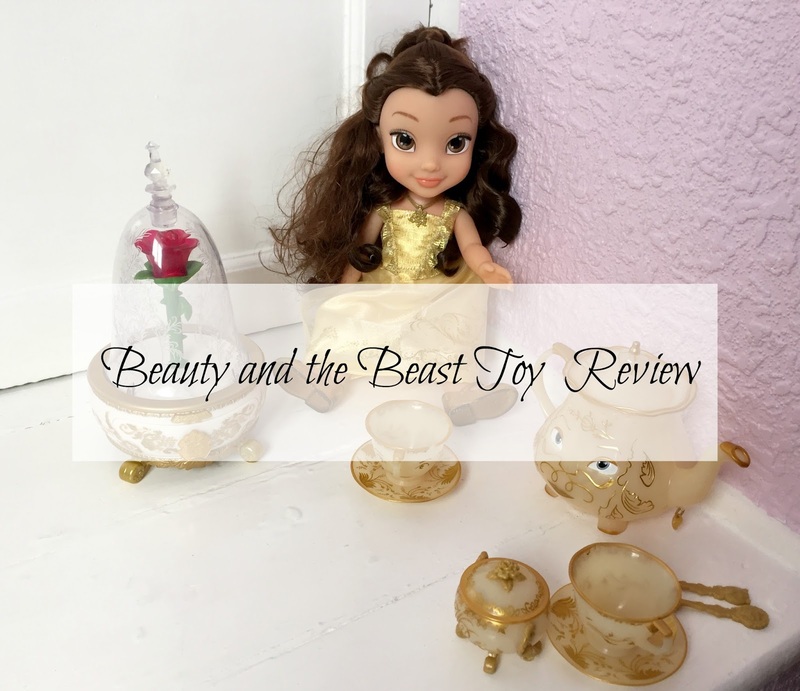 To celebrate the release of the movie we were very kindly sent a bundle of Beauty and the Beast products from Jakks Pacific, Sophia's little face lit up when they arrived. 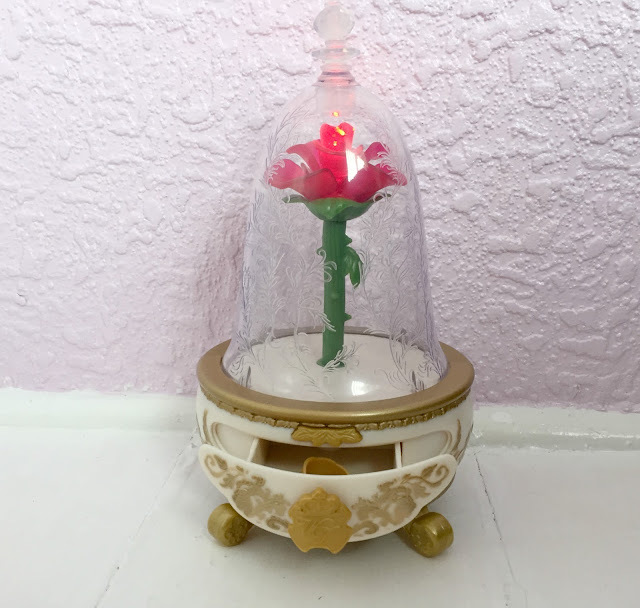 We were sent a beautiful Ballroom Belle doll, a musical Enchanted Rose Jewellery box, an Enchanted Objects Tea Set and a copy of the latest Disney Princess magazine. I had serious envy as these toys were so pretty and perfect for any Beauty and the Beast fan. 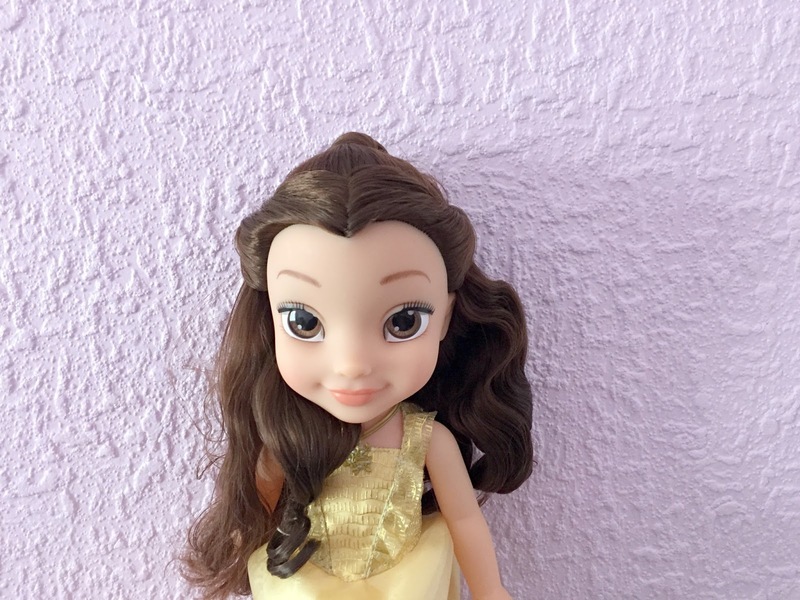 The Ballroom Belle doll (RRP £24.99) is simply beautiful, she is a Disney toddler sized doll similar to the ones we have reviewed in the past. Belle is wearing the most beautiful yellow ballroom dress that shimmers and looks so like the iconic dress from the film, she also has sparkly gold shoes and the tree of life pendant just like the film too. She is the perfect size doll for Sophia to play with and have tea parties with and I just know that she is going to play with her and have lots of fun with her for years to come. The Enchanted Rose Jewellery Box (RRP £19.99) is simply beautiful and I admit I was tempted to keep it for myself, as I liked it that much! Sophia loves this Jewellery box and it now has pride of place on her bedside table and gets played with non-stop. 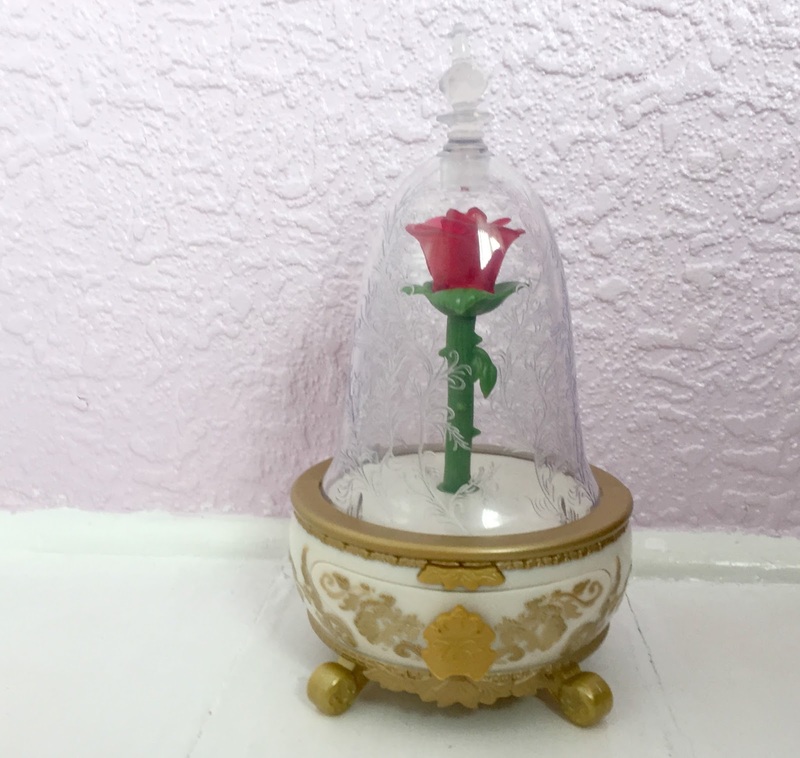 Everyone will be familiar with the iconic Rose from the film and this cute jewellery box is a perfect replica, it has a draw on the front to store jewellery and when you open it the enchanted Rose will open, light up and play the Beauty and the Beast tune. There is also a button on the front that you can press that will play the tune and the set also comes with a little ring that children can wear and then store in the jewellery box draw. 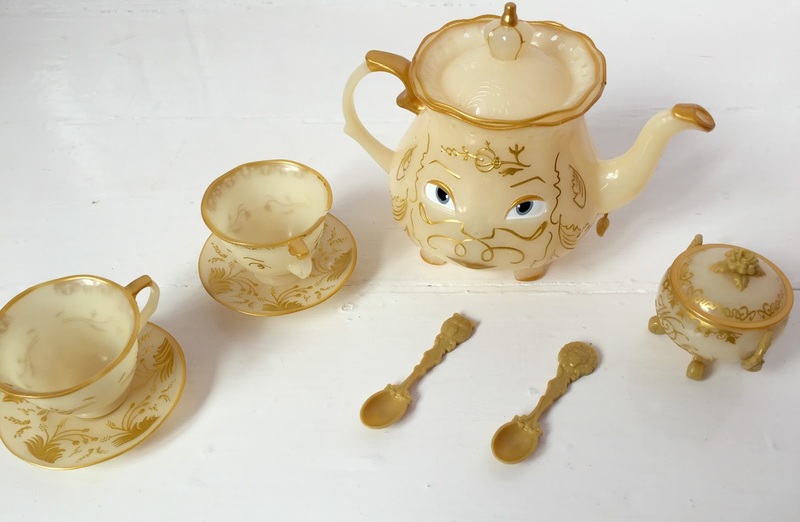 The Enchanted Objects Tea Set (RRP £19.99) featuring much-loved characters Mrs Potts the teapot and Chip the teacup, the set also includes a sugar bowl, two teaspoons and another cup and saucer. 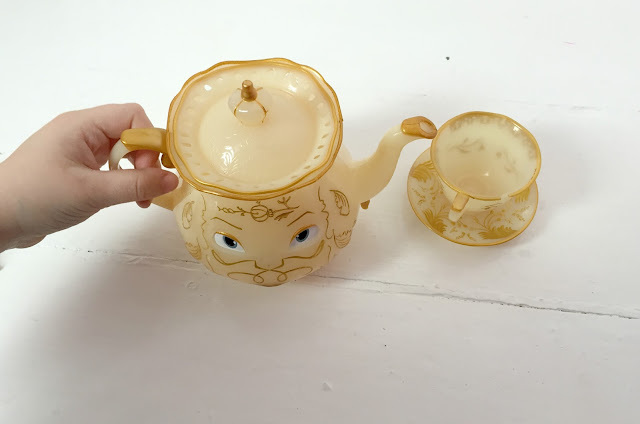 This tea set looks so like the set in the new film, Chip the teacup wobbles on his saucer and Mrs Potts the teapot even has eyes that open and close when she is tipped up. This is such an enchanting set that children will adore playing with, my son and daughter have been playing tea party with this set together and it so cute watching them play together. 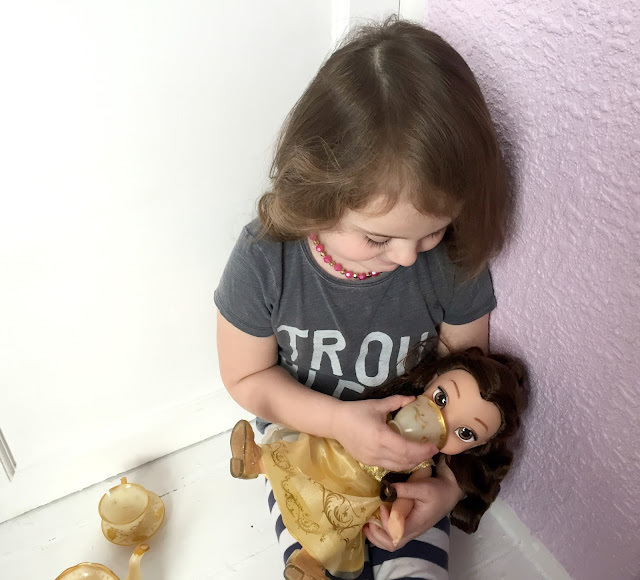 We really love these toys, they are perfect for young Disney Princess fans and are a great addition to Sophia's collection. I just know that she will play with and love these toys for many more years to come and I can not wait to see what fun she has with them. After seeing these toys I am even more excited for the film but I have to wait until Tuesday to see it - BOO! You can buy these toys from leading toy retailers. That Rose look amazing. Infact all the toys look like fantastic presents! We have that rose jewellery box with that beautiful song and our daughter adores it! A must have for any B & B fans! Oh my gosh they're fab. The doll is definitely something I'd have wanted when I was younger and the jewellery box looks lovely. The tea set looks fab and it's something I might get my niece for her forthcoming birthday! Ahh so lovely! We are going to watch the film tomorrow and I am more excited than the kids!!! Aww how cute, and I love the tea set! Beauty and the Beast is my favourite Disney Film! Oh my goodness these are gorgeous! My two would go mad for these! Oh how adorable are these? I cannot wait to see the new film. Looking forward to seeing the film although I hope it's got a more modern angle! I'm sure it must do. I like the look of this doll. My daughter would love it.